Once in a lifetime a machine comes around that is a perfect for everyone! Today it is the Pfaff creative 4.5 sewing and embroidery combination machine. We have filmed over 100 free YouTube tutorial videos on the Pfaff creative 4.5 and in doing so discovered how truly versatile this machine is. Whether you want top-of-the-line features for half the price tag or a machine that can grow with you as your sewing style expands, the Pfaff creative 4.5 checks all the boxes. As a quilter one day, a sewer the next and a midnight embroiderer, Pfaff’s features such as the built-in IDT or walking foot is the perfect accessory. Also at my finger tips and never needing a screw driver, the built-in IDT gives even feeding on all weights of fabrics. Every brand of sewing machine has their own group of exclusive decorative stitches. If you own a Pfaff with Stitch Creator, any decorative stitch you fall in love with can be duplicated and sewn. Think of the Pfaff Stitch Creator as a plotting program for stitches. Design your own favorite stitches, copy decorative stitches from other machine brands or edit any built-in Pfaff stitch to your own liking. No more wishing you had a different machine, design the stitch yourself. When embroidering there will be time that realigning a design to the exact stitch point will be life or death. With the Pfaff Precise Positioning feature it will not matter if something has accidentally came unhooped or you are just working on a rehooping project, the results will be perfect. We sometimes call this feature “hooping crooked”. No need to even hoop something straight when Precise Positioning is a standard feature. Just hoop, align and embroider. Done. PFAFF DECORATIVE STITCHES – 480 TOTAL! With a stitch width of 9mm, the Pfaff decorative stitches are to die for. Maxi stitches are even wider – up to 48mm wide. The stitch package on this machine is a must see. And remember the Pfaff Stitch Creator? It can expand the total amount of total decorative stitches to infinity times infinity! Pfaff includes three sizes of hoops with the Pfaff creative 4.5. When size matters, these hoops come stand with the machine. Embroidery designs can be stitched 8” x 14”. Purchase an additional creative Grand Dream hoop to embroider designs up to 13 3/4” x 14”! Included in the 480 built-in decorative stitches are Pfaff exclusive specialty stitches. They are known for their ribbon stitches and stacking stitches. Pfaff is one brand of sewing machine that does not skimp on their included accessories. There are 11 presser feet included with this machine including a 1/4” foot, free motion quilting foot and two buttonhole feet. Remember, no need for a walking foot…the IDT it is built-in. The Pfaff creative 4.5 sewing machine can sew in all four directions. 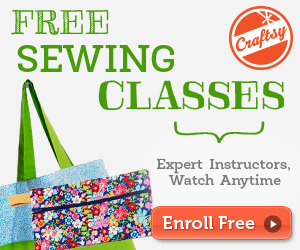 Need to sideways to sew on a patch or mend a hole in a pair of pants? No need to unstitch the side seams, just slide the project onto the free arm and pick the direction to sew in. Download and install the Premier +2 complimentary software to expand your embroidery font options. This software will allow you to embroider any font you have saved in your computer. This software works with both PC and MAC computers. Your Pfaff retailer may have two embroidery units available for the Pfaff creative 4.5. Choose between a 8” x 10” hoop or a 8” x 14” hoop. The choose is yours. There is a ton more! Check out our complete list of free tutorial videos on the PFAFF creative 4.5 sewing and embroidery machine to see if this machine is right for you. If you already own this amazing machine, see if you are using it to its full potential. I’m in the UK and having owned (and LOVED) a Pfaff 1475CD for almost 30 years, it was time for an update so I bought a creative 4.5 just 3 weeks ago. It’s a mind blowing machine – with so much to learn, I’m SO grateful for your wonderful videos. I have to admit – it’s going to take me a while to get to grips with everything if. indeed, I make it. But I hope they will remain accessible for as long as I need them.